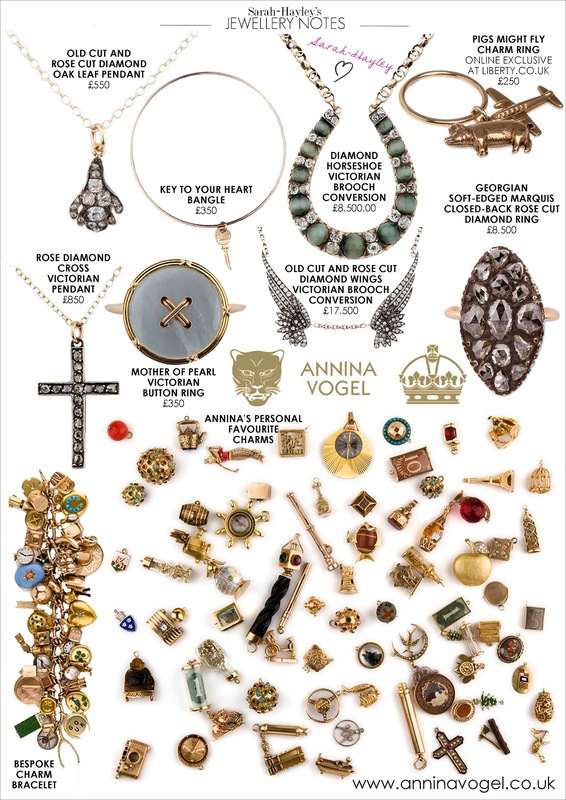 London based jeweller, Annina Vogel is the go to designer for vintage antique charm jewellery. With a list of celebrity fans, including Kate Moss, Julia Restoin-Roitfeld and Rosie Huntington-Whiteley, Annina uses her extensive gold charm collection to make one-of-a-kind pieces of jewellery, connecting the past with the present. I first found Annina Vogel at Liberty and since then a single charm bangle is on my (still saving..) wishlist. Signature pieces from the collection are stocked on her own website, while other stockists include Liberty, Bergdorf Goodman, Selfridges and net-a-porter.com. See my favourite pieces from the collection below and fall in love with Annina's own personal collection of vintage charms.